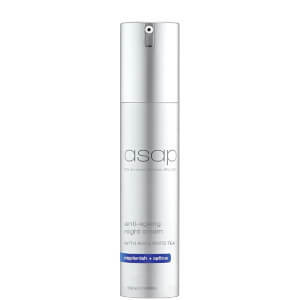 New from asap a high potency overnight revitalising treatment containing Vitamin A (Retinol) and Vitamin E to help diminish the appearance of sun damage and pigmentation while assisting in smoothing the skin's texture and tone. Works overnight to help hydrate repair and regenerate environmentally damaged skin. 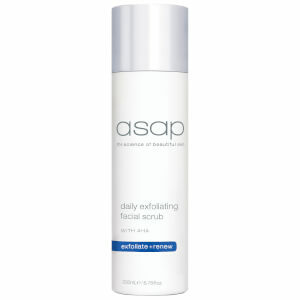 Directions: Apply sparingly to clean skin before bed. Gradually increase use from every other night once tolerated. Be careful to gradually build up using this product depending on how your skin tolerates it! I'm using every second night and my hormonal breakouts around my jawline have faded significantly. So glad I decided to introduce serums, the asap a serum with the b for daytime has honestly made the biggest difference to my skin, cannot recommend this combo highly enough! Post kids my skin has become very pigmented so I thought I would give this serum a go. I'm pleasantly surprised by how effective it has been! My skin texture has also evened out and my fine lines are reduced. I haven't given the product 5 stars though as my skin is a bit dry. I definitely recommend this product though with a good moisturizer! I've been using this serum for more than a year. I use it daily and I've never had a bad reaction to it. There's no tingling or anything like that even though I've had bad reaction to other creams before (flaking and excezma). In summer I noticed my skin got a bit flakey due to the combination of the serum and sun exposure probably so I stopped using it every night but apart from that there's not been anything negative. I can't say I feel like my skin looks dramatically different since I started using it but I definitely have less breakouts and if I do, I feel this serum is helping it heal/clear up fairly quickly (if it's a really bad spot, I apply the serum multiple times a day just to this spot). I'd definitely recommend it. I use it together with the Vitamin C Moisturiser and been very happy. I'm just over 40 and my skin has always been very prone to breakouts even as I got older, I need to be very careful what I put on my skin and this has been a great option. I only give it 3 stars though as I don't think it's been giving me amazing results. I have only being using this product for a few months and it has made an incredible difference to the texture and look of my skin. 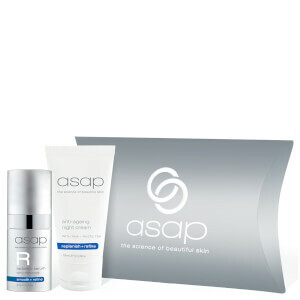 A great product to add to the anti-ageing collection! There have been some comments saying that it is too strong for people skin - I have had no issues at all and have found that my skin can be quite sensitive. I am older though (40) so perhaps this is why? I take good care of my skin. I use Vitamin A every night and chose to try a new brand. It burnt all my skin and was in great pain. Would never use again and threw it in the bin. There are far better vitamin A serums available. Started using this not long ago and already I can see major improvements. Potency has increased since ASAP's product revamp in 2013 and I was advised to start slowly so to avoid your skin from peeling - though this is a natural response to retinol. I use it a few times a week initially and never had an issue! I highly recommend the super A serum. Skin feels smooth and plump. Noticed a difference after using in just 2 weeks. 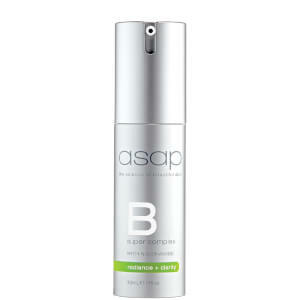 This serum is awesome , but needs to be introduced gradually as the strength has increased , Talk to your beauty therapist as I also had some irritation .,overall a fantastic product ,. My skin looks amazing !! Has this product recently changed? I have been using this product for about a year and love it. However, in my most recent order it is now called A+ serum with AHA's which unfortunately irritates my skin and makes it peel, like after sunburn so it affects my make up application making my skin look patchy and flaky. Is it still possible to get the original A serum without the AHA?